I bought the wool on a trip to Inverness because I had been searching for a pattern for kilt socks for a while and this wool came with a free pattern. The pattern, originally hand-written on brown paper, was found in a knitting bag in a house sale. An old receipt showed that is was from the Scottish Western Isles and the date on the receipt was 1937. There was no name to put to the pattern but it was obviously a pattern for ‘stockings’ for the whole family with instruction for infant, child and adult sizes. 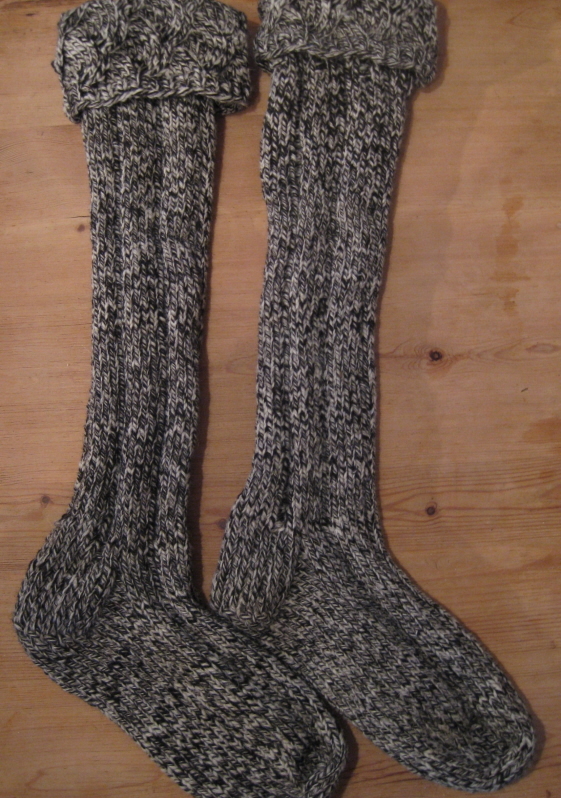 The socks are knitted from the cuff-down on double-pointed needles. The cuff is knitted and then turned inside out by pushing it through the middle of the needles so that the wrong side is facing before continuing with the leg. I found the only way I could make this work was to push the cuff through the needles and then knit in the other direction but maybe that was just me. The socks did seem to take forever but I’m pleased with the end result. 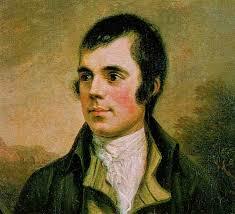 I think John will probably wear them under motorcycle boots rather than with a kilt (he’s wears tartan ‘trews’ when he’s in formal Scottish dress) but, nevertheless it seems fitting to finish knitting a bit of Scottish history on Robert Burns’ birthday. One of the things I love about knitting is that the pleasure involved is more long-lasting than this. Well, most of the time anyway; I’ve had some projects – often abandoned before completion – that have provided very little, if any, pleasure at all. For the most part though, I get pleasure from the actual knitting, a sense of achievement at finishing the project and the enjoyment of seeing someone else appreciate the end result. What have you most enjoyed knitting and why?